To audit your content using GatherContent you need to achieve the primary step of getting all your content into GatherContent. You can do this the old fashioned way using copy-and-paste, or with our API or using our import tools. 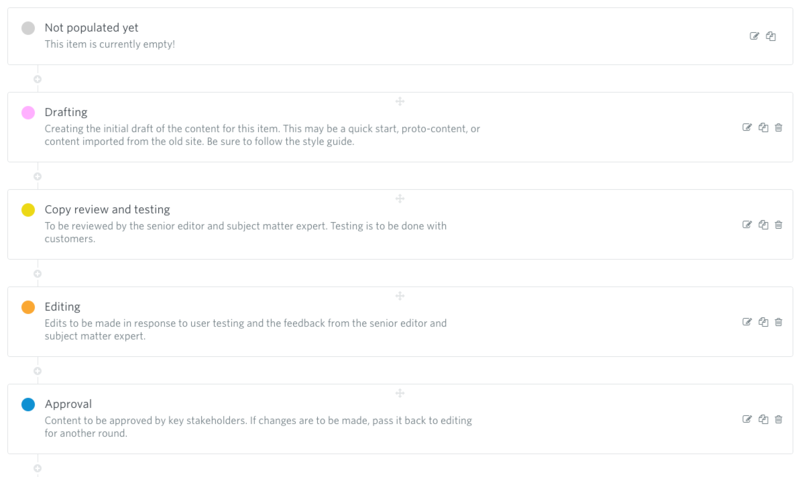 Once you have your content in GatherContent, you can use Workflow to categorise different items. You can label Items in accordance with what action needs to be taken with them. For example you may have a Workflow status as ‘to be removed’, ‘to be reviewed’ and ‘to stay without changes’. Those three make a basic version of an auditing Workflow. Using Templates, you can define a content model that will state the types of pages that are needed. This allows you to adapt the site structure. Using comments can also help with an auditing process. Here you can comment on changes and track changes using the revision tab. Finally, be clear on people’s roles for the audit. Let them know what they need to do and how this fits into the wider and complete process.